When my van life dream trip was becoming more and more a reality I quickly realized that I would need a way to power my fridge, batteries, and inverter without paying to plug in every few days. Solar panels have been big in the van community for a long time, and I am not the first to this party. They are efficient, relatively cheap, and provide enough power to stay off the grid for weeks on end. I want to start this all by saying solar is a lot easier than people think, anyone can do it, and with the right prep you can have it done in a few hours. This set up that I am presenting is my own, but I implore you to research your own set up and improvise because that’s how this community continues to grow. So how do you solar?! First off you have to decide where you want to put your panel. A lot of people permanently attach the panel to the roof of their car (see photo). This is a great option for many, as the panel is out of the way- you basically install it and forget it. 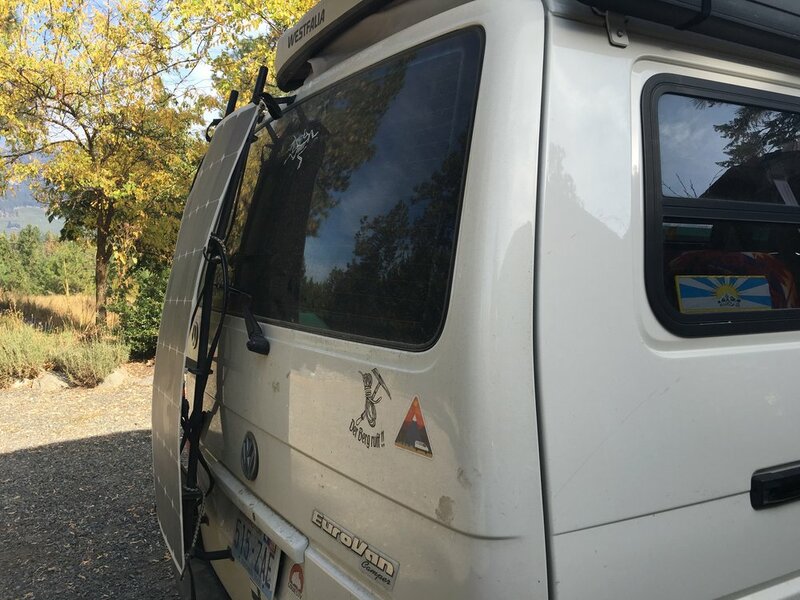 On my Eurovan I have a large Thule box that is always chocked full of gear, camping supplies, and tools, I didn’t want to get rid of my box and buy a smaller one for my solar set up. I also liked the idea of having the freedom to move my panel around, that it didn’t matter where I parked for the night, I could adjust the panel to be in the sun. If you have your panel attached to the roof you are always parking at odd angles to charge up. 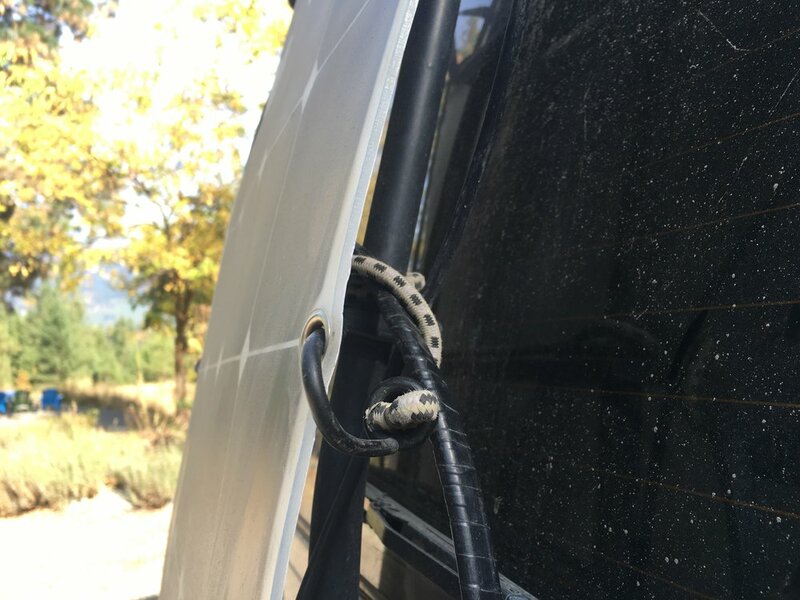 Having been on the road now for a few months I find the “free” panels are invaluable, I keep my panel in the sun so much longer than if I had it on the roof, I am always adjusting it, and angling it to maximize the charge. Once I decided I didn’t want to permanently mount the solar panel I had to decide which one to get. 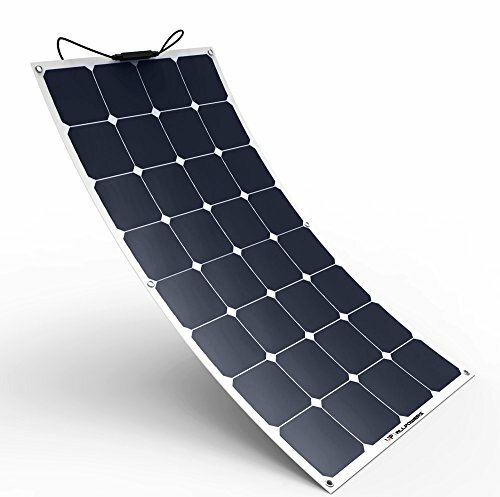 I was immediately drawn to flexible solar panels because of the weight and portability they provided. There are two basic kinds of “flexible” solar panels. Silicon - thinfilm- think “Goal Zero” and backpacking solar panels. They are completely collapsible and require a huge amount of space to produce minimal energy (think 4 feet for 45w). These panels have been around for a long time, and when you first research flexible solar panels a lot of older blog posts will be referring to these. The newer “semi-flexible” panels have only really come on the scene in the past few years. Semi-flexible- created by a Swiss team, have a 23.5% conversion rate with the flexibility being a 30 degree arc. These panels are newer to the scene and are starting to make a real break through. A basic 100 watt panel's dimensions are 47 x 21.3 x 1.4 with a weight of 16.5 lbs, a semi-flexible panels dimensions are 46.1 x 21.2 x .14 with a weight of 4.86 lbs. The difference in cost is about $100. To me the weight was a huge factor, the Kingsolar 120 watt panel weighed less than 5 pounds and was as thin as a small stack of papers. 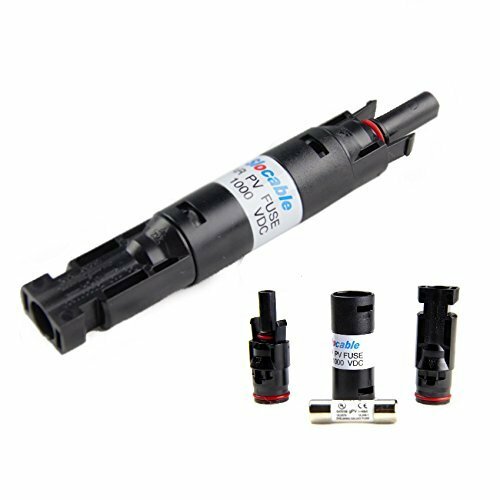 The ability for it to arc up to 30 degrees and the outstanding reviews online made it my go to. Initially I would store the panel inside my car when I was driving, but as time wore on I realized I was missing out on a lot of valuable sun while I was driving. So I attached a small climbing sling (but any kind of polycord would do), through the top two holes and created a handle. 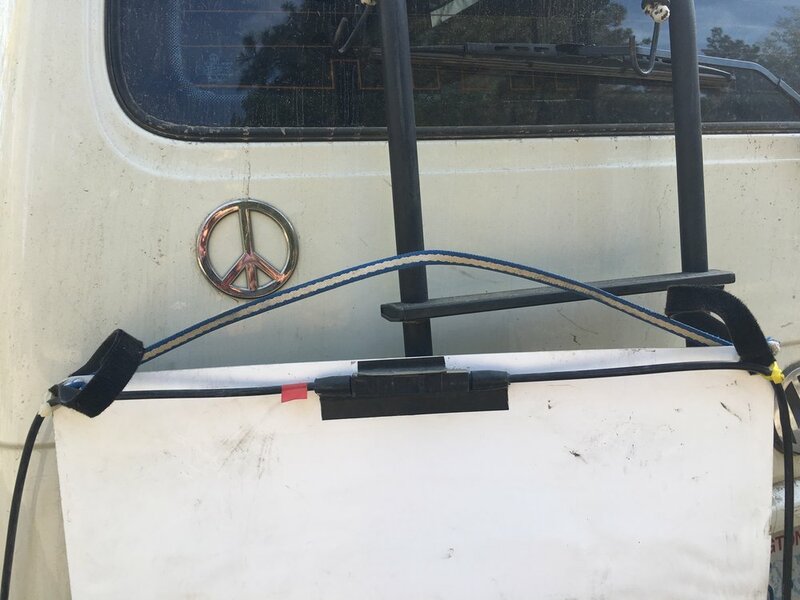 I hung it off the back of the van and secured it to the ladder with two bungee cords. 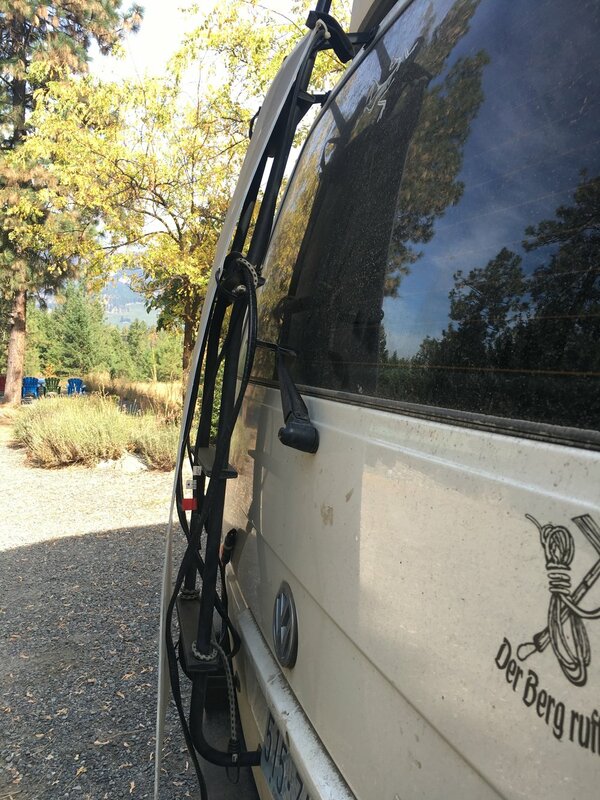 I simple strung the bungees through the rungs of the ladders and wrapped the cord (which is attached to the charge controller) around a bungee. This is a pretty dirt bag system, but it keeps the panel secure and it's the easiest way I've figured out to keep the panel outside and the back hatch accessible. After you get your panel you have to find the best batteries within your budget that maximize storage capacity. I purchased two 6v batteries made by East Pen Manufacturing (model #GC2), from a specialty battery store. This companies background is in aeuronotics and they are designed to be efficient in all types of weather. Since I was headed up to Alaska, and I wasn't sure what my winter plans were going to be it was important to me to have a battery that would work when it was freezing or blazingly hot. They are AGM batteries (absorbed glass mat), virtually maintenance free, in most cases you don't even need to ventilate them. In order to achieve 12 volts all you do is connect the negative terminal from battery A to the positive terminal on battery B with one piece of cable. Make sure you use at minimum 4 gauge cable, the lower the gauge the thicker the cable, and the thicker the cable is the more power will be transferred between the batteries. My particular batteries have 250CCA (cold cranking amps), by combining 2 6v batteries you HAVE NOT doubled your CCA’s. However, you have doubled your storage capacity (aka energy available). Once you have your solar panel and batteries you need to buy a charge controller. A charge controller prevents overcharging and discharging of your 12 volt batteries and it is critical to any solar system. It automatically indicates the charged state of your batteries on an LED screen, letting you know how much power you have and how many amps are being absorbed. There are tons of charge controllers out there and figuring out which one to get includes educating yourself on the type of batteries you have, how many amps your panel can produce, and provides essential information on the status of your batteries. 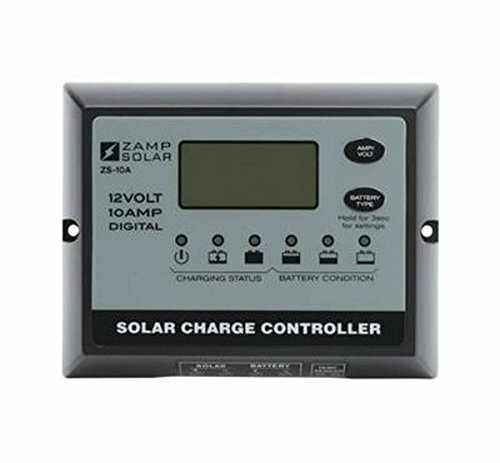 I bought a 10 amp Zamp Solar solar controller/ battery charger model # ZS10AW (waterproof). Which I installed in the back of the Eurovan, below the bed. All you have to do is run a 16 gauge wire from the plus side of your battery to the plus side of the charge controller, as well as a negative cable . So now you have a solar panel, battery, and charge controller, the next thing is hooking it all up. 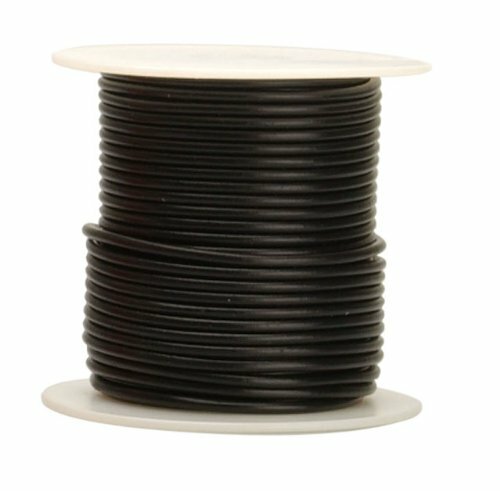 When I first bought my solar panel it came with about a foot of cable so I knew I needed to buy extension cables. 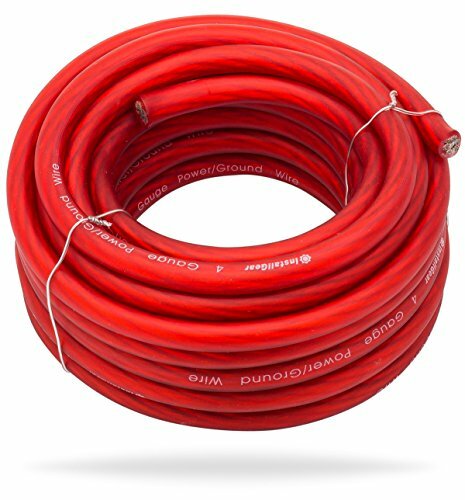 I bought two (a positive and negative) 15 foot extension cables on Amazon. I wrapped them in electrical tape because having two cables constantly flying around got annoying. On the plus cable, I opted to get the MC4 adaptor with a built in fuse. This helps to mitigate to much power coming through the charge controller, simply click into the plus cable. I've seen some extension cables already have this built into it, so just double check. The original panel that I used is no longer available on Amazon - but this looks like a great substitute. With that being said, do your research! I linked the panel that I used but as I’m updating this I found a 160w panel that is far lighter than mine. The cable can be as long or as short as you want. I found 15 ft gave me enough space to lay the panel on the windshield or to move it away form the van to find the sun. I wouldn’t go much longer as the cable can become cumbersome to store. You will need 2 of these (positive and negative). This stops too much power from going through the charge controllers- simply click this into the positive cable. I detail where to use these below. You will live by what this screen says. The charge control regulates the rate at which electric current is added to or drawn from your batteries. It will also help a battery from completely draining. It basically shows you how much power you have left. The length depends on how far away your charge controller is in relation to your batteries- mine is 2 feet. You can buy these at any hardware store just make sure you buy them big enough so they fit over your battery posts. There is a lot of discussion as to wether using one 12v batter vs two 6v batteries is better. I believe that this video summarizes it perfectly. 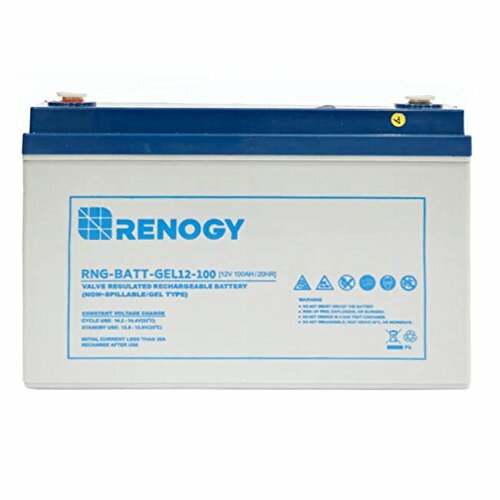 Using two batteries has a longer life cycle and they supply more power for longer periods of time, and they have more power than a single 12v. 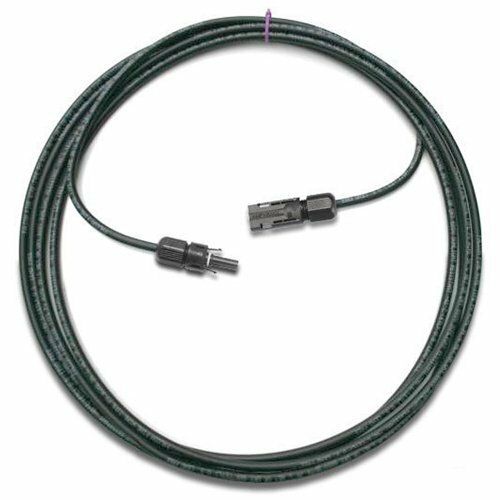 4 Gauge (or larger battery cable) appx 18 in. 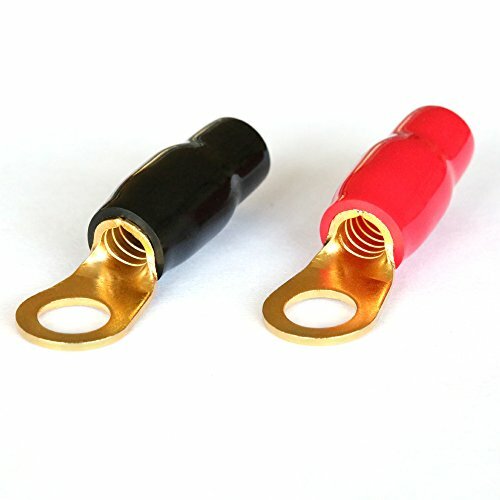 You will attach this to the ring terminals and connect your two 6v batteries with this cable. Install the batteries in your van (this is dependent on the type of van, RV, truck you have). Bridge the two batteries with the 4 gauge cable- connect the negative terminal from battery A to the positive terminal on battery B.
Instal charge controller in a convenient place. In my Eurovan I installed it underneath the bed by placing a piece of backer wood behind the plastic casing where my batteries were and drilled through the plastic into the backer wood. 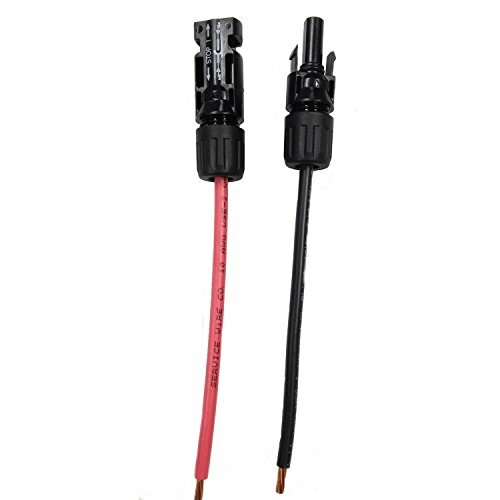 Using the two 16 gauge stranded wires connect one end of each to the ring terminals, slip the ring terminals over the positive post on one battery and the negative post on the other battery. Strip the other end of the cable (appx. quarter inch) and insert them to the "battery" port on the charge controller (the positive and negative ports are clearly marked). I drilled a small hole through the plastic to feed the wires through, but you could run it any way you want. So now you have your batteries connected to your charge controller. I opted to put an inline low blow fuse 20 amps on the positive wire (charge controller to battery). I cut the wire and attached a fuse holder and reattached the wires using a shrink tube. Grab the MC4 to bare conversion cable set and insert them into the positive and negative "solar" ports on the charge controller. I marked the positive cable on mine with a piece of red electrical tape because mixing the cables up is easily done. Take your 15 foot extension and click the negative to the negative and the positive to the positive. On the positive cable click the MC4 fuse into place. Finally, connect the positive to the solar panel positive and vice vera. 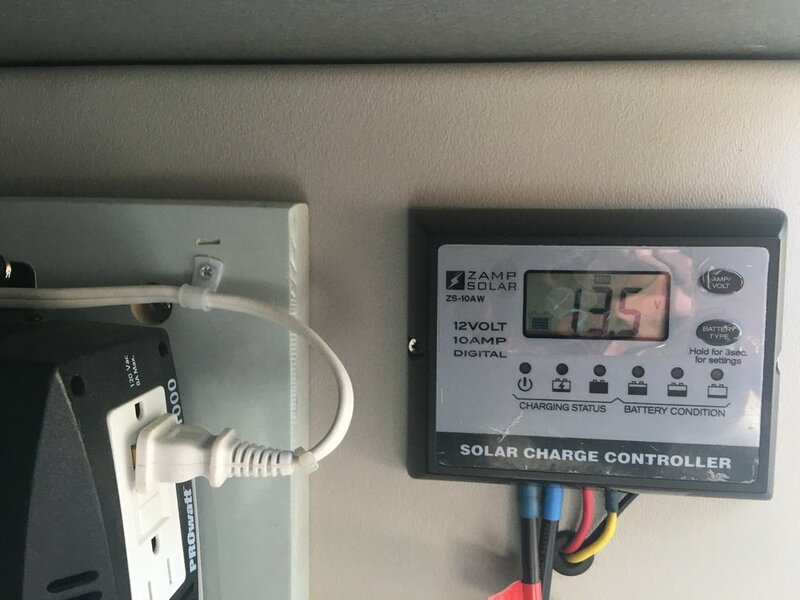 Immediately you should see a reading on your charge controller, indicating the battery level, amps being absorbed, amp hours- every solar charger is different. But the point is you will see a response immediately. Optional: On the charge control there is a slot for a temperature sensor (you do not need this for the system to work), but since I’m German I went for it. I bought a 18 gauge cable stranded wire, just strip a quarter inch and stick it into the charge controller and then you connect it to the positive of the battery. The unit will optimize the charging performance, subject toe the battery temperature. If the batter over temperature occurs, the controller will atomically stop charging.